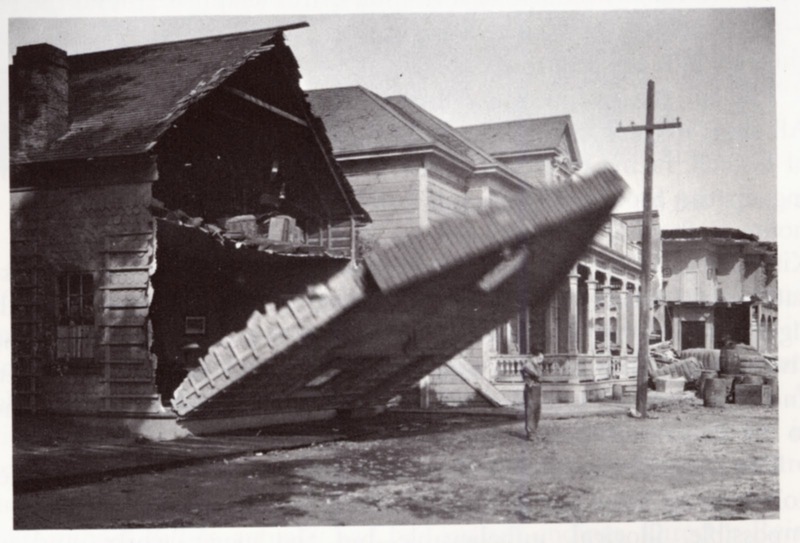 Buster Keaton and Steamboat Bill Jr.
It’s an iconic image, a cyclone ravages a small town and blows the front of the building down. 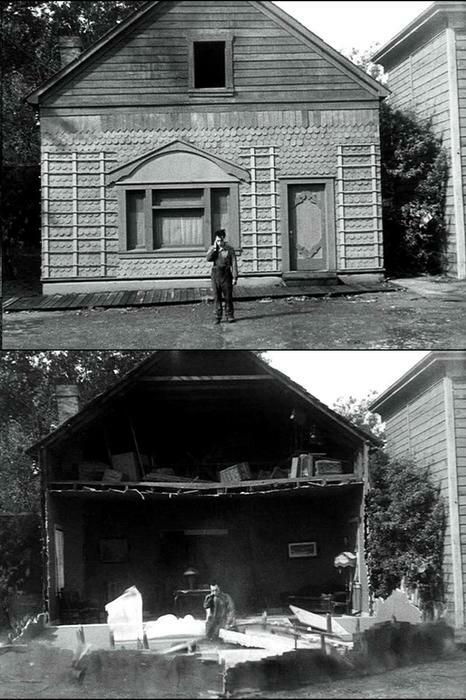 As it falls, a man (Buster Keaton) walking away from the building miraculously survives as he stands on a spot where an open window just happens to be, as the building falls around him. It’s a stunt where just the slightest miscalculation would have killed him. The stunt was performed with an actual full-weight wall. 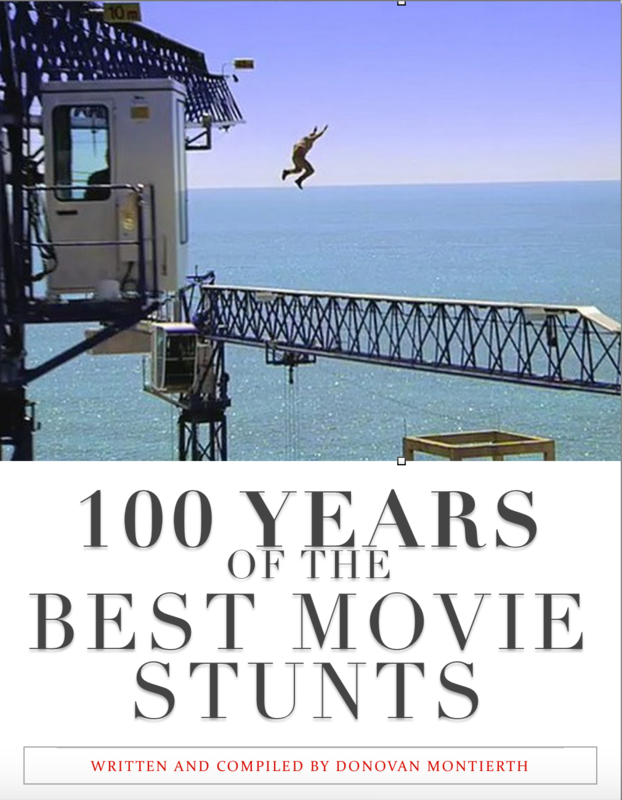 Half the crew walked off the set rather than participate in a stunt that would have killed Keaton if he had been slightly off position. Legendary Hong Kong film star Jackie Chan has often cited Keaton’s acrobatics—and this stunt in particular—as one of his primary influences. He tips his hat to Keaton in Project A2 by having a falling building front. This movie was also used as a model for Steamboat Willie, Mickey Mouse’s first cartoon with sound. 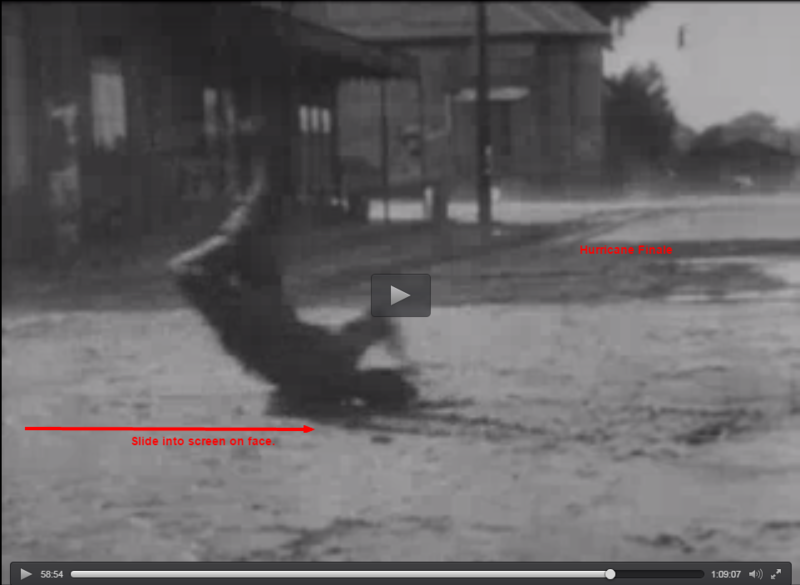 It’s interesting to note, Buster Keaton’s sister Louise doubled for Marion Byron during the cyclone scene. 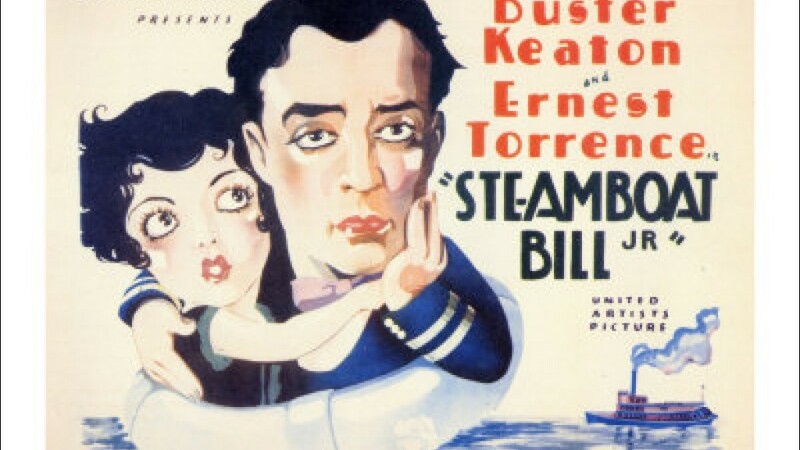 Steamboat Bill Jr. was directed by Charles Reisner for Buster Keaton Productions. Buster Keaton In Oh, Doctor!